The Catania Astrophysical Observatory (OACT) is one of the twelve observatories which together with some former CNR Institutes, forms the Italian National Institute of Astrophysics (INAF). The Observatory carries out researches and studies in the field of Astronomy and Astrophysics and performs an intensive educational program both for schools and public. The privileged geographical position in Catania, a sunny town in Southern Italy (Sicily) at the feet of Mt. Etna (3340 m. a.s.l. ), the largest active volcano in Europe, has made possible an almost 100-year long uninterrupted patrol of the solar activity, which is still carried out today. INAF–OACT drives the M. G. Fracastoro (also known: Serra la Nave) observing station which is locate at 1700 m a.s.l. 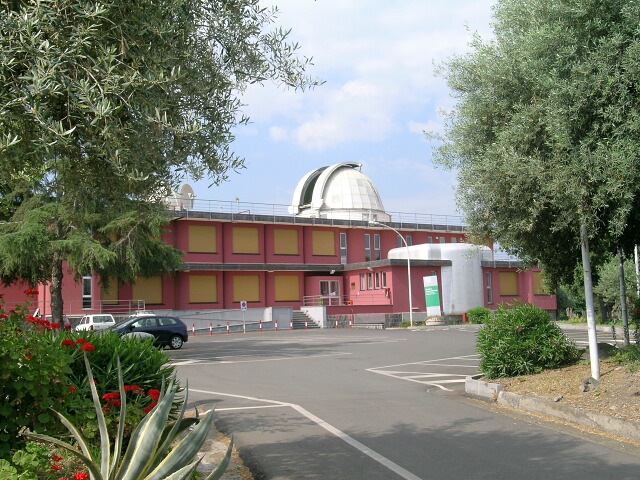 on the south flank of Etna and is active since 1964 with facilities for spectroscopy and photometry.